The informational meeting for beneficiaries, who are interesting in FWE graduates support programs, was held in public college “Iberia” within the framework of the project “Step-by-Step towards a Better Future” on 16.07.18. Applications fill in by 23 beneficiaries. The two-day training on business application writing and skills development was held for alumni by FWE, on 17-18 July, 2018. The training was attended by 19 applicants. The third cycle beneficiaries were awarded certificates within the framework of the project “Step-by-Step towards a Better Future” by FWE in public college “Iberia” on 16.07.18. 25 Beneficiaries have passed the three-month training course on the following specialties : computer graphics, stylist, electrician, car repairing electrician, cook. They also received the services from the FWE Integration Center staff on Social, Psychological, Legal issues, also they raised their Vital Skills. 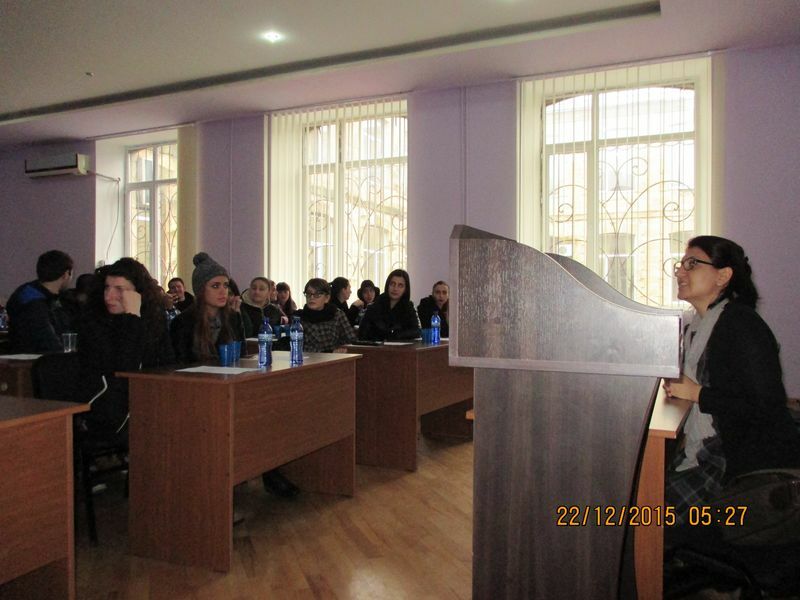 Training, about project`s (# 675 “Step-by-Step toward a better future”) documents uploading to a common computer system, took place in the Integration Center of FWE , on 03.12.18. The training was attended by the project staff, 9 person. The training was conducted by the invited IT specialist Dato Chaduneli and Amiran Chulukhadze – a supporter of the engineering platform. The training was conducted in accordance with the schedule and in the Q/A format. 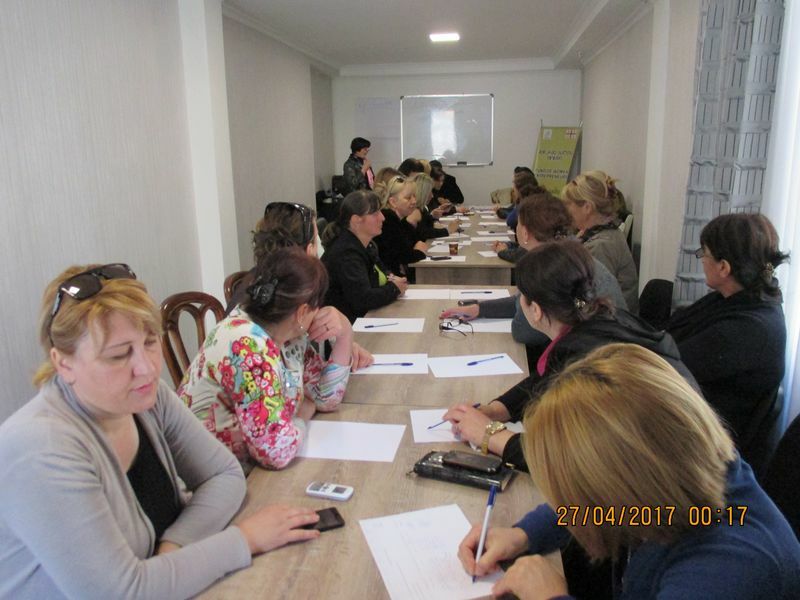 On November 24, 2017, the Fund of Women Entrepreneurs organized a master class in Tsageri municipality on the theme of the improvement of soil through humus and local resources. In total, 24 beneficiaries, including 11 men and 13 women, attended the master class. 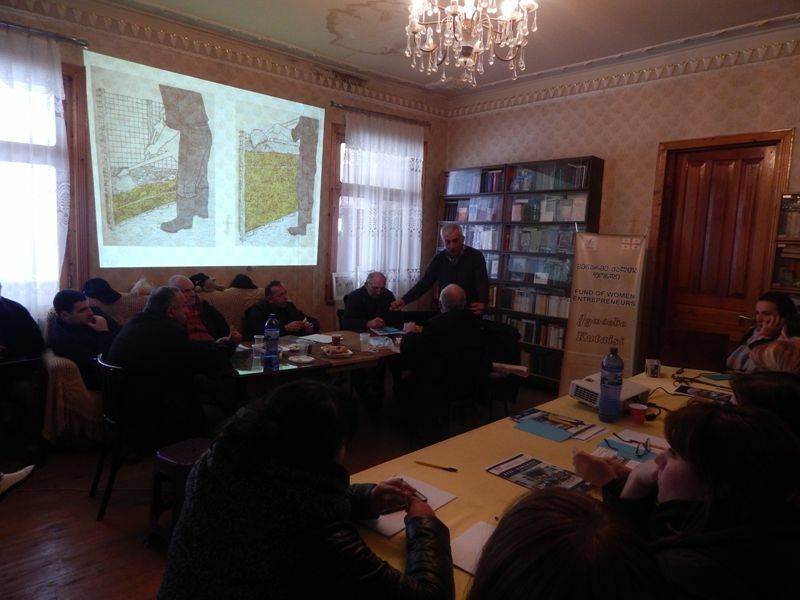 The invited trainer Merab Baratashvili provided the participants with the information how to prepare the soil in accordance to the types of a plant. Special attention was paid to the possibility of producing humus with the help of local resources, its usage and expected results. Nato Silagadze-As far as I have already learnt how to prepare humus I will use waste products to produce humus and to get ecologically clean products. Natia Kvirikashvili – This is a very productive master class and it is necessary to conduct such kind of trainings more often. Amiran Khetsuriani- I liked humus preparation technology, examples of European countries in terms of soil preparation is interesting. Josep Chekhi, a manager from Slovakia to Hydro-Plant “Jonoon-1” Building, in Tsageri Municipality- It was a very interesting master class, the use of humus in terms of Georgia’s agriculture development is necessary. 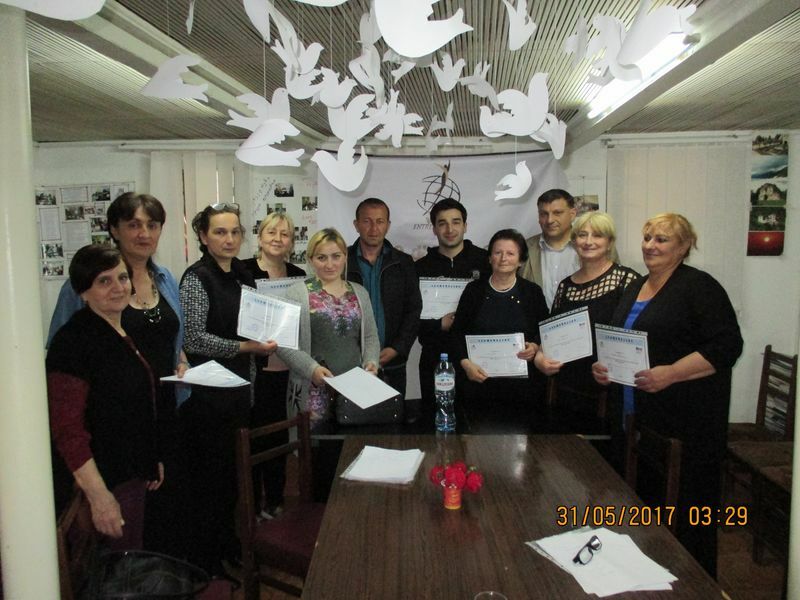 On November 11, 2017, the Fund of Women Entrepreneurs within the project “Step-by-Step towards a Better Future”(675) was conducted the training to “Mentor-Volunteer” Skills and Work Organization issues. 11 people with different professions and experience participated in the training (out of which: 9 men, 2 women). All participants, as announced under the terms of the competition, are ready to work on the volunteer basis (without remuneration) to project beneficiaries in order to support their re-socialization. The training was conducted by an experienced trainer, psychologist – Constantine Pozov. 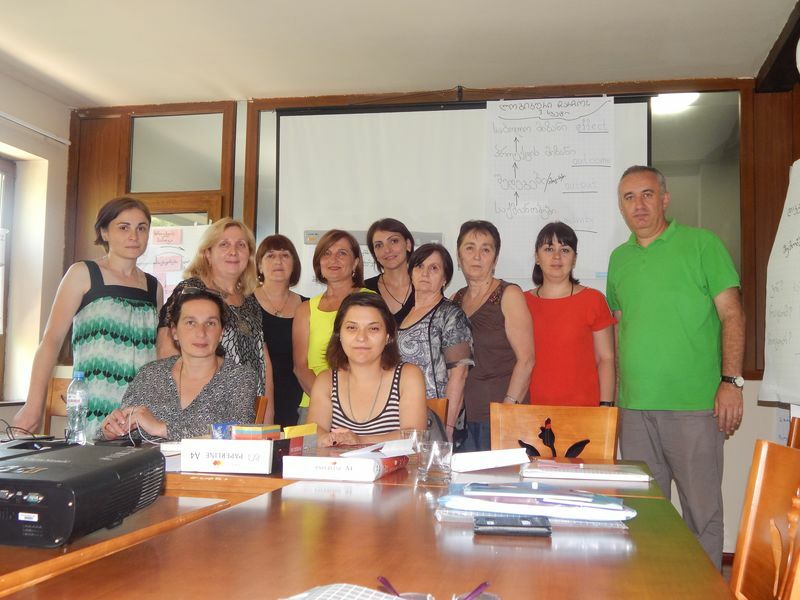 In training preparation and its organization, participation employees an Association “Consent” and Fund of Women Entrepreneurs. 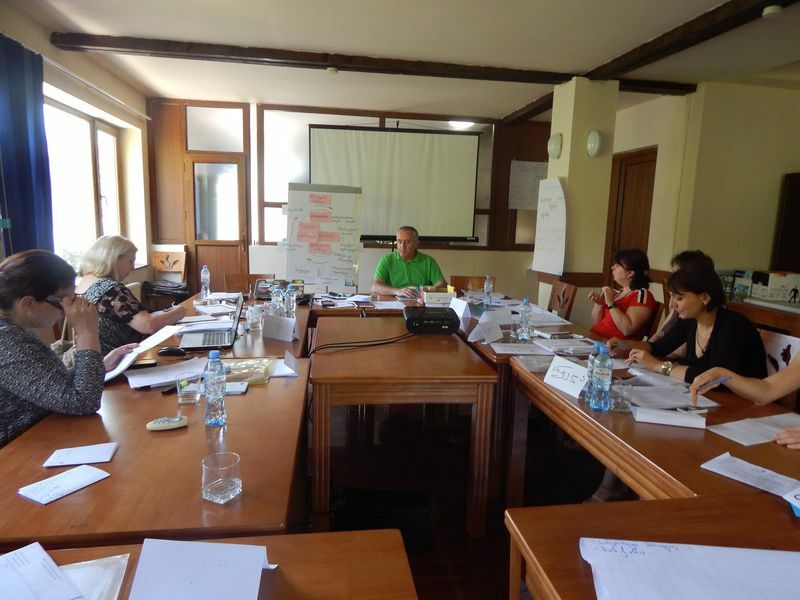 On July 24-28, 2017 the training was held on topic “Project Management and Fundraising” for the staff organizational development of the “Fund of Women Entrepreneurs”. 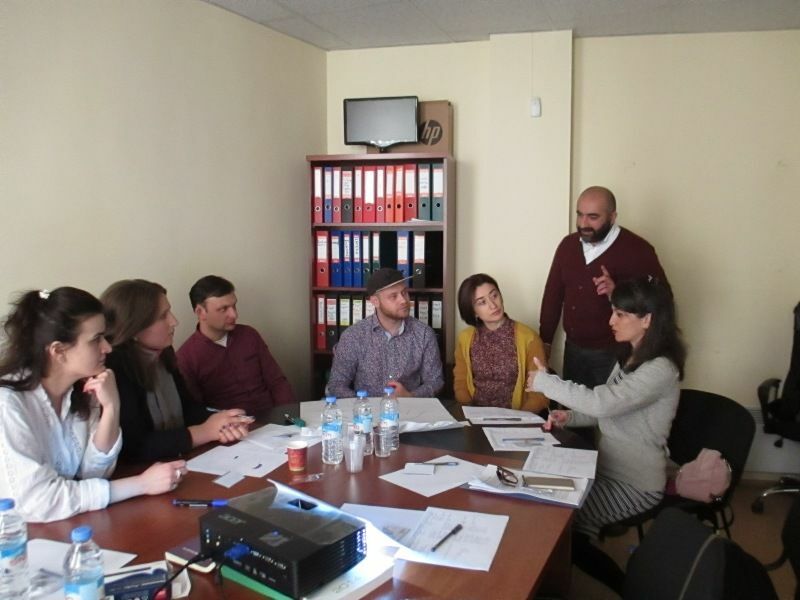 The training was conducted by Pavle Tvaliashvili, a trainer from CTC. 11 participants took part in the training. The following issues were discussed during training ,such as: Project and Program Definition, Problem Tree and Objective Tree, Analysis of Stakeholders, Project Logic Model, Project Strategy, Risks, Indicators and other issues . 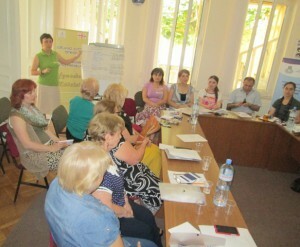 In a frame of the project “ Sustainable development of women in Western Georgia- development of professional and personal skills”, a three-day training was held in the office of FWE on May 29,30,31. The training was attended by the beneficiaries of the “Fund of Women Entrepreneurs” from Tsageri, who were interested in initiating or expanding small and medium businesses. The aim of the training was to teach modern and effective approaches to small and medium business management for the participants , how to write proposal about the business on which the participants are interested. 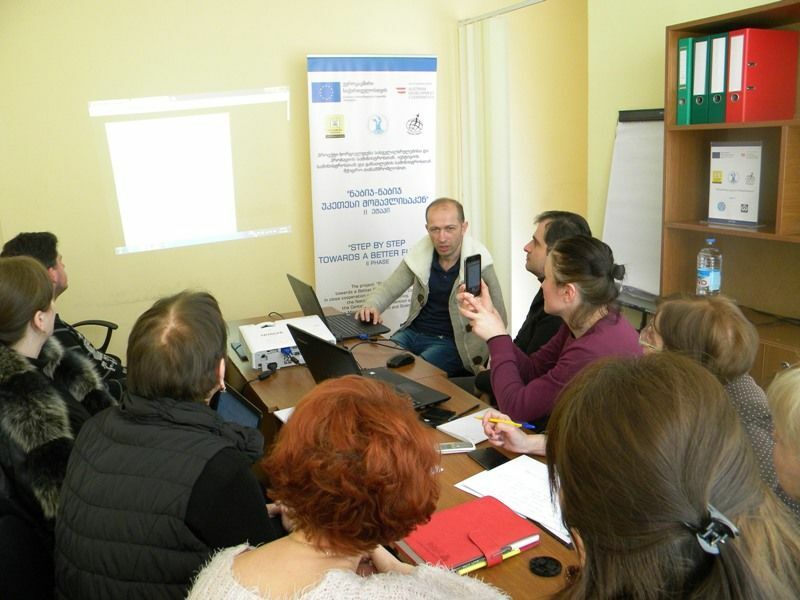 7 participants of the training filled the application form of the business idea, which was presented as a project by the state-run program “Produce in Georgia”. On April 27, 2017 at the request of beneficiaries of Municipality of Tsageri there has taken place the training on a subject: “Rules of conducting business in the general courts”. 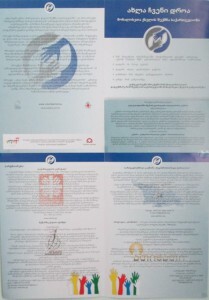 The following questions were discussed at a training: Civil procedural legal relations; Procedural laws of the parties and duty; Procedural terms; Rules of introduction of the claim; Order and terms of payment of the state tax; Features of consideration of the case as the simplified production; Pronouncement of the correspondence decision and rule of the appeal; Conducting business in the courts both appeal, and cassation. Participants of a meeting have got legal consultation on the subjects interesting them which concerned the following questions: – introduction of the appeal complaint, – the appeal of the correspondence decision, – procedural terms, – jurisdiction, – a divorce, – pension appointment, – repeated recheck of economic and social situation, – restoration of inheritance, – drawing up the will, – registration of the real estate, – removal of a criminal record, – purpose of an aliment for minors, – adoption of the child, – a question of execution of the mortgage contract. On a training 24 people (23 women and 1 man) took part. 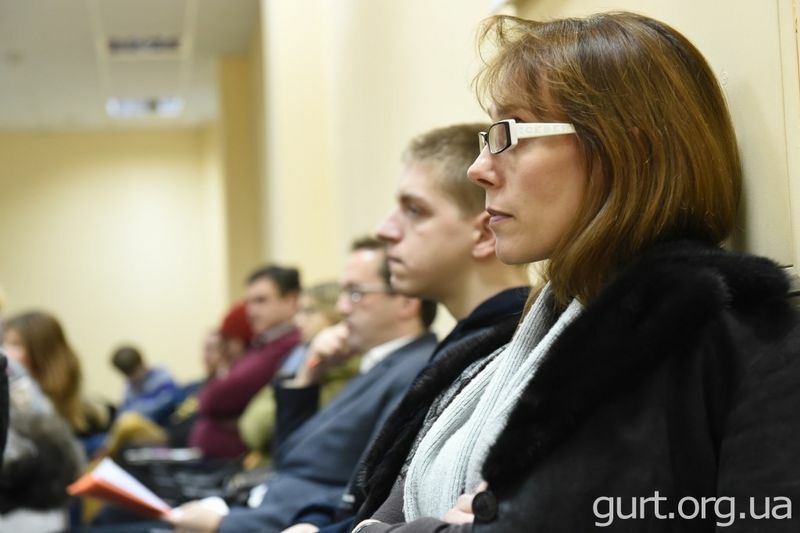 On Thursday, December 17, 2015, Tamara Martseniuk held a public lecture on gender policy in Ukraine and challenges of the European integration. The event was initiated by GURT Resource Centre together with the Department of Sociology at the National University of «Kyiv-Mohyla Academy» within the project «Gender Policies and EU Integration: Experience of the Visegrad Four Eastern Partnership». In total more than 40 participants, including scientists, analysts, human rights activists, social workers, professors, students and other socially active citizens interested in the subject of gender equality took part in the event. The event was held within the project «Gender Policies and EU Integration: Experience of the Visegrad Four Eastern Partnership», jointly implemented by the Fund of Women Entrepreneurs (Georgia) and the GURT Resource Centre (Ukraine) with the financial support of the International Visegrad Fund. 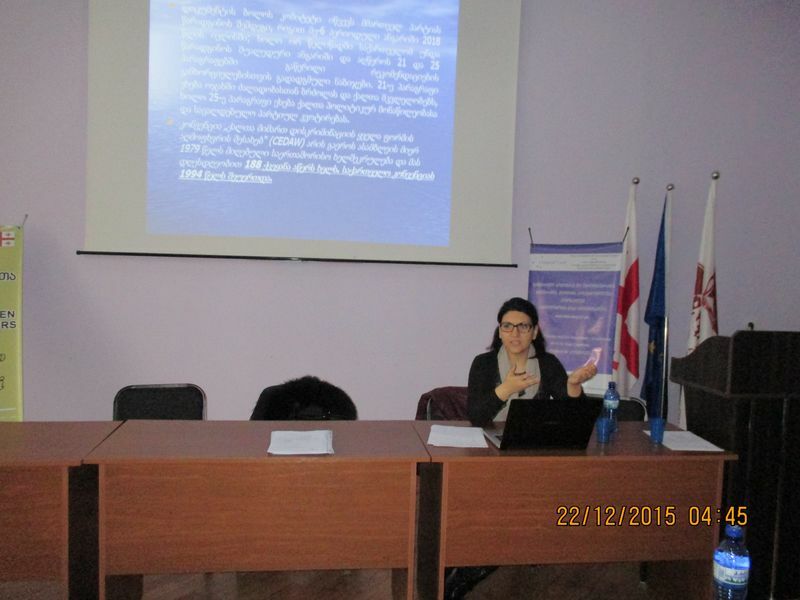 24.12.2015 – in a frame of the project: “Gender Policies and EU Integration – Experience of V4 for Eap Countries” was held the public lecture on a topic: “Legislative secure of Gender equality in Georgia” in Kutaisi A. Stereteli state University. Students, University Professors and Interested community (58 participants) were attended on the public lecture. Public lecture which was held by the Experts of the project Ms. Nargiza Ardjevanidze reviewed following issues: Revision of local Gender Legislation, International conventions, UN Resolution UNSCR 1325, Legislative initiatives to improve women political representation, Excising situation in Visegrad Countries regarding the implementation of Gender equality politic. 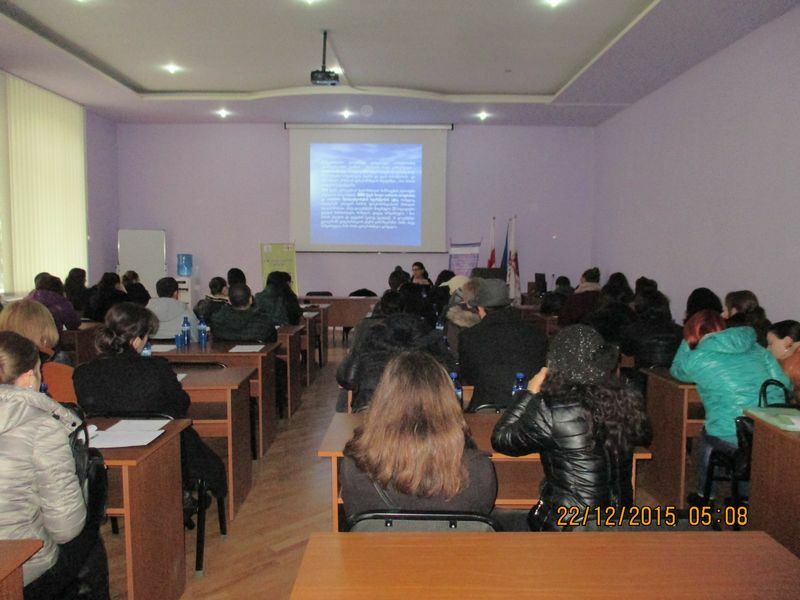 24.11.2015 in frame of project: “Gender Policies and EU Integration – Experience of V4 for Eap Countries” held first public lecture in Ivane Javakhishvili state University Banch in Kutaisi. 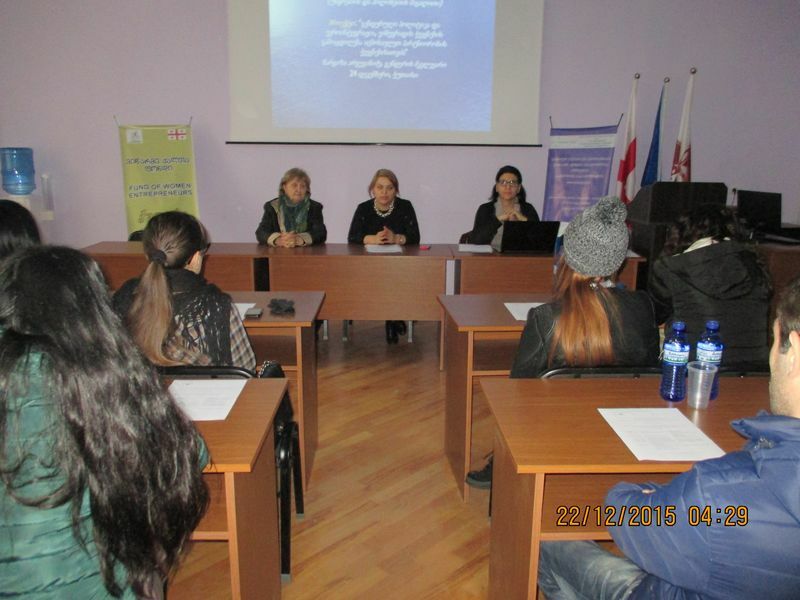 The public lecture was on the topic: Women’s participation in politics, EU courtiers and Georgia”. 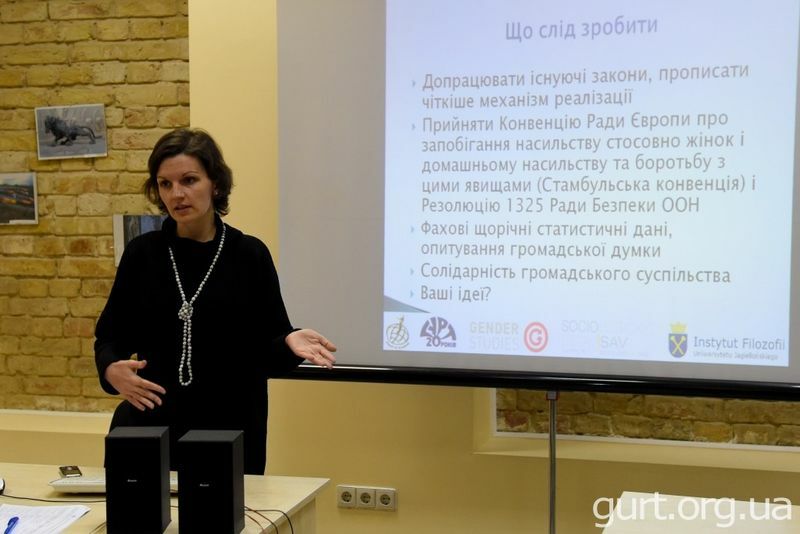 The public lecture was taken by the project expert – Maia Kuprava-Sharvashidze. Additional trainings were conducted about “Gender Equity and Women rights” for women beneficiaries in Ambrolauri and Tsageri on April 24-29, 2015. 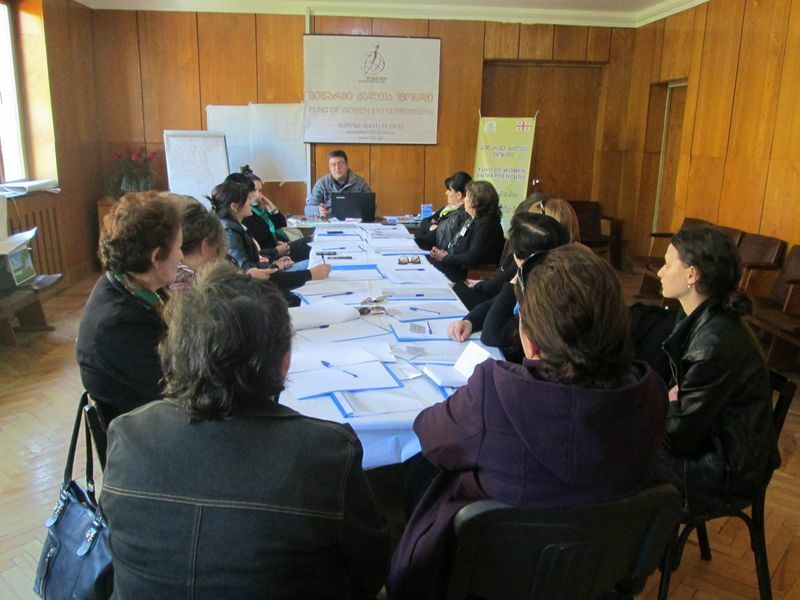 Trainings were initiated and supported by “UN Women” and organized by the “Fund of Women Entrepreneurs”.17 beneficiaries form Ambrolauri and 19 beneficiaries from Tsageri participated in the discussion of the issues related to gender equity and women rights. 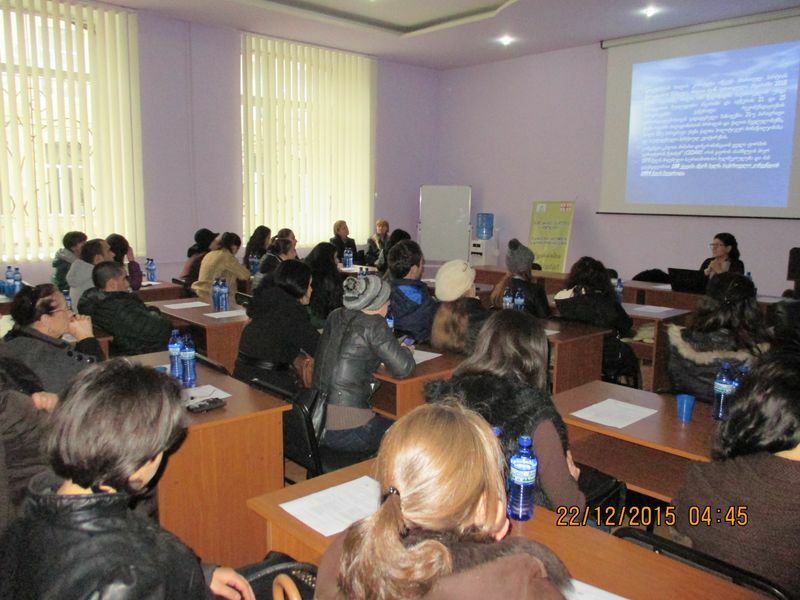 3days trainings were also attended by Racha and Lechkhumi rayon local government representatives. 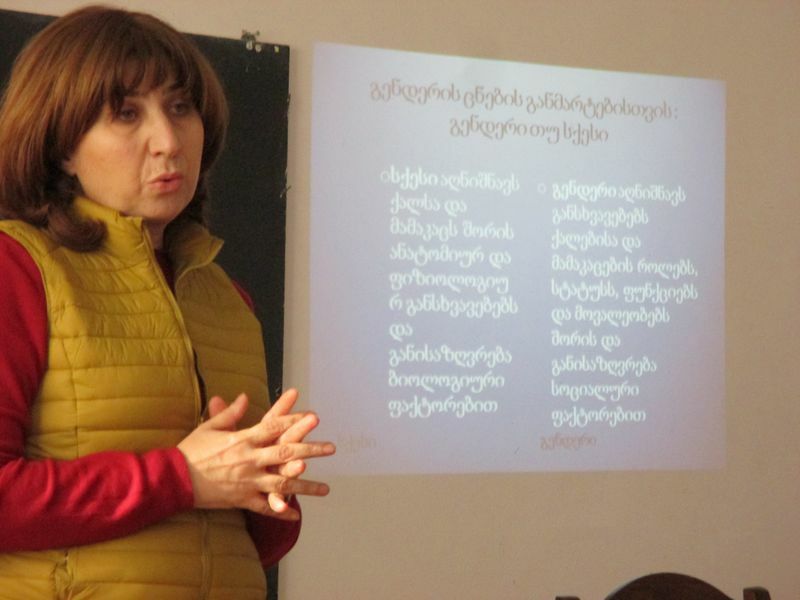 On 12 November 2014 “on the Fund’s” active member of the Volunteer Center of Natalia todua A / O sociological research center “future” eco-club members conducted training workshop on “Children’s Rights and Responsibilities”. The training was conducted by volunteers and partner organizations of the Young Lawyers Association “on the Fund’s” lawyers. It was attended by 33 children. The training aimed at the child’s basic rights (right to life, the right to a name and a family name, the right to health, the right to have a family, the right to protection from violence, the right to education, freedom of expression, etc.) and the child’s basic responsibilities. Through training students in their understanding of the “Convention on the Rights of the Child”, and they were given the opportunity to get familiar with all the issues that were interested in children’s rights. 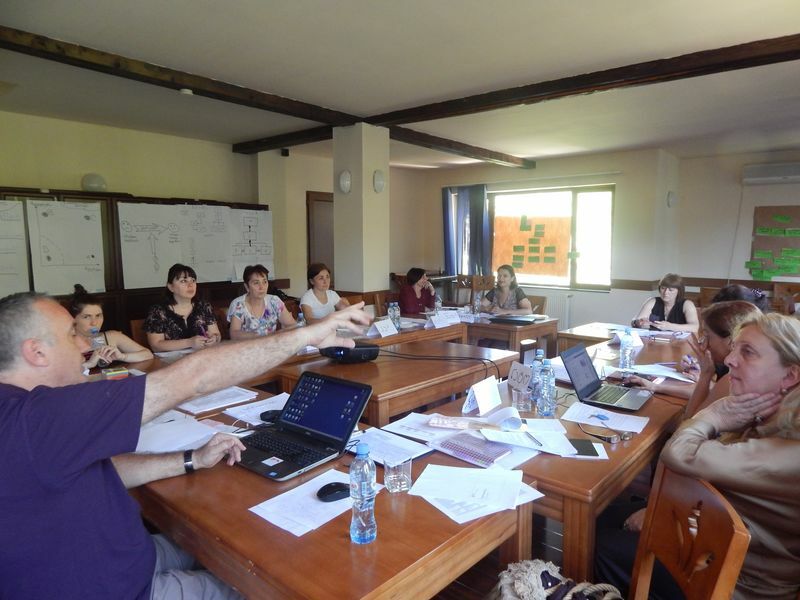 On July 3, 2014 a planned training within the framework of the learning program “Leader Volunteers” was held by the partner organizations of FWE, “Union of Global Solidarity” and association “Volunteer Center in Lublin”. The training which was the first step of creating the network, aiming at sharing Polish volunteers’ experience and discussing about the learning module. 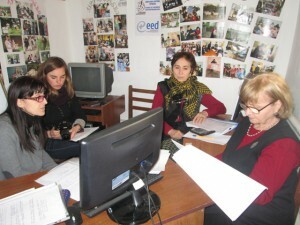 Presenters of the training were Iatsek Vnuk and Justine Orlovska. 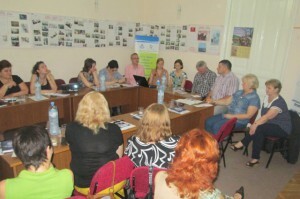 Twenty persons attended the training. Among them were the mobilizers from Poti and representatives of NGOs: “Fund of Women Entrepreneurs”; Cultural- Humanitarian Fund “Sukhumi” Legal Entity of Public Law “Our Incubator”, “Kutaisi Education Development And Employment Center” and Association “Peaceful and Business Caucasus”. 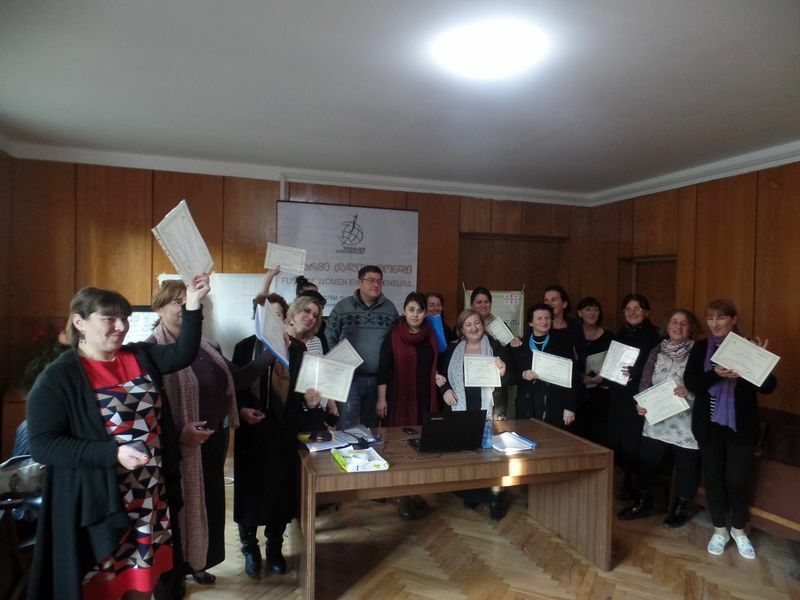 On December 9-11,2013 Fund of Women Entrepreneurs conducted a training in “Small Business Basics” with the participation of Katarina Karcolova (GLEN Slovakia volunteer in the NGO “Borjomi Women’ Just by Hand” working on the basis of Borjomi municipality). 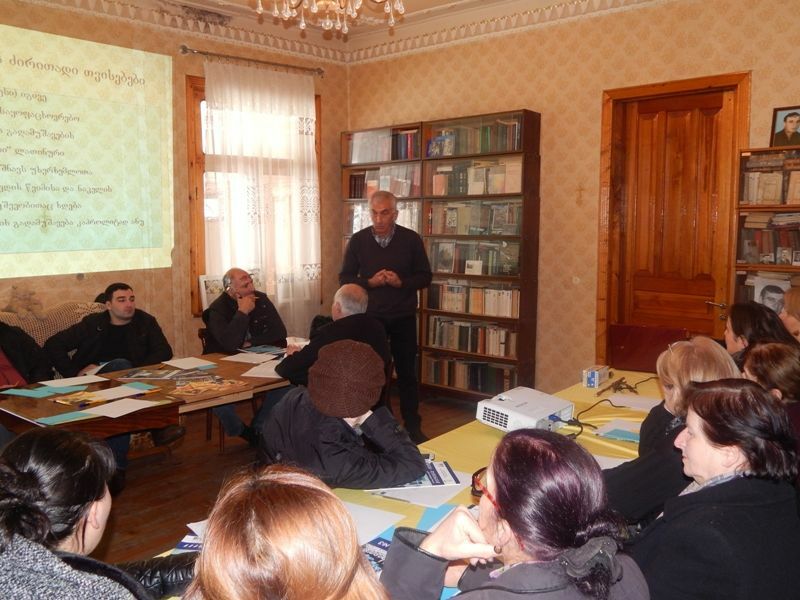 Nine people both IDP and local ones living below the poverty line in the settlement of Borjomi municipality have the opportunity to be involved in small business development with the help of acquired knowledge. At the meeting all the participants were aware of the international campaign“16 Days of Activism Against Gender-Based Violence”. After the training a consultation related to the development of business-plan was conducted by a trainer Diana Kurashvili. Seven projects were submitted in accordance with the training and two projects were selected by the selection commission and financially supported by “GLEN Slovakia” thanks to SlovakAid and the Slovak NGDO Platform via the campaign Live Fairly”. 2. Mini-bakery called “Mother’s Bread” – trade and service sector. 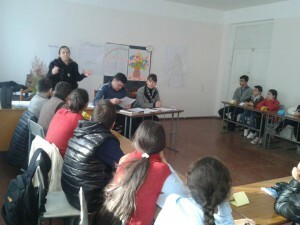 New groups of students took training at Poti vocational school “Pazisi” on the issues of professional orientation on April 23-25, 2013. 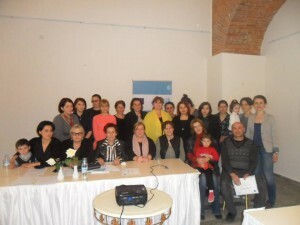 Thirty beneficiaries took part at the training organized by the Fund of Women Entrepreneurs. Traditionally, the training was intended to promote the audience with the knowledge and skills that help them to plan their future career and to develop and determine their interests and priorities. The training will help them to reveal their personal and professional skills, while received experience will enhance their self-awareness. At the end of the training the attendees were given certificates. 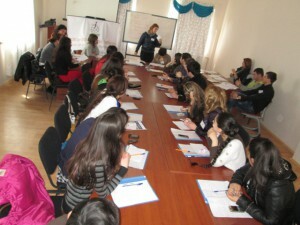 On April 18-20 Fund of Women Entrepreneurs conducted a training at Poti vocational school “Pazisi”. 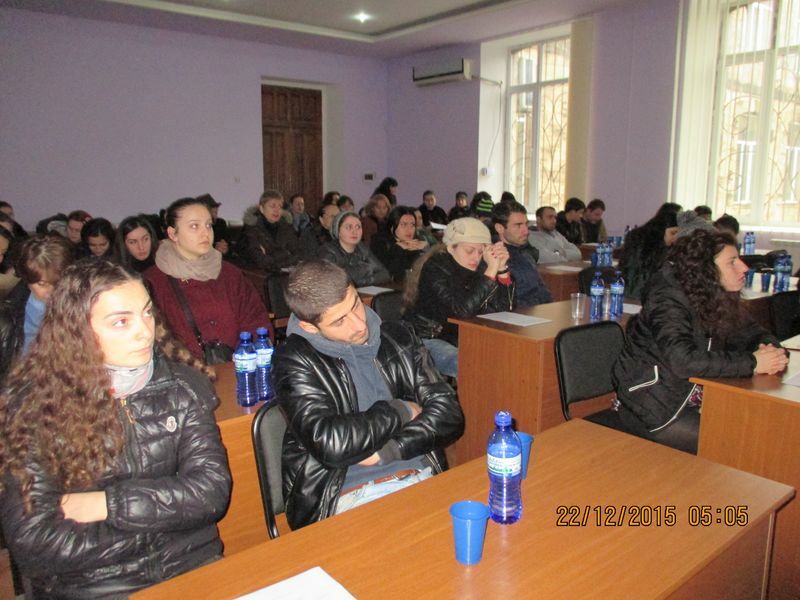 Perspective students of the school, who passed registration at Kobuleti Administrative School, attended the first training. And the young people living in a small IDP settlement in Maltakva, in small Poti and Poti participated in a 3-day-training. At the training the participants were informed about jobs’ seeking strategies, the ways of conducting interviews with the employers and business communication issues. They also studied proper writing of CV and cover letters. 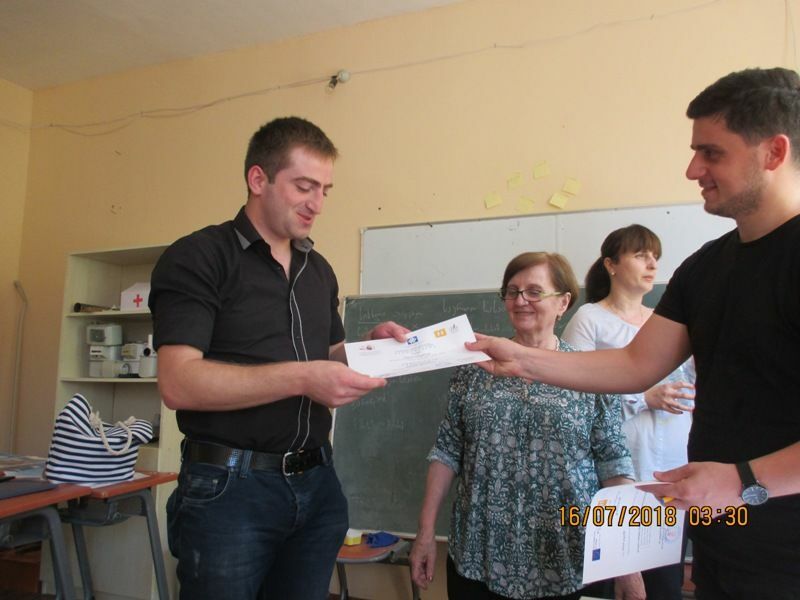 The training-seminars were concluded with giving the certificates to the attendees. At the end of the training the participants were given certificates. 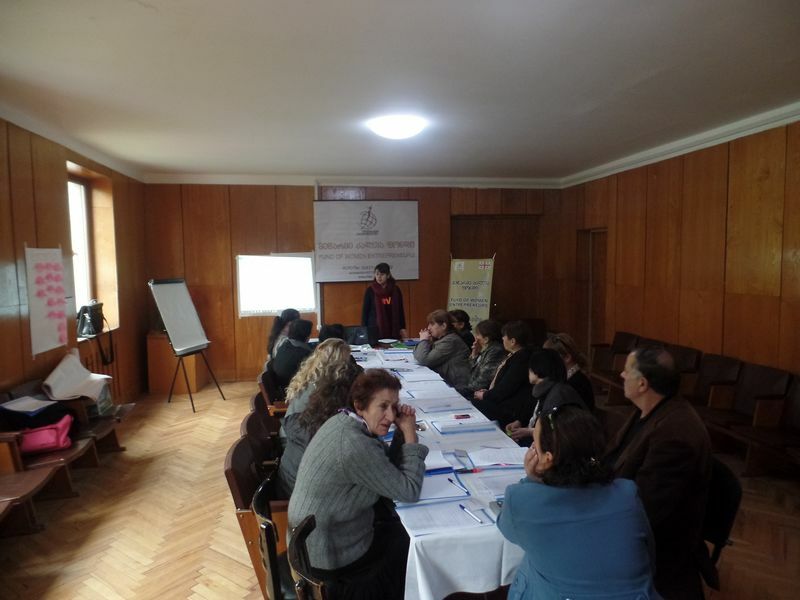 A training, organized by the Fund of Women Entrepreneurs, was held at the public college “Iberia” on April 10-12, 2013. Thirty beneficiaries attended a three-day seminar, including not only IDPs but also the local ones. 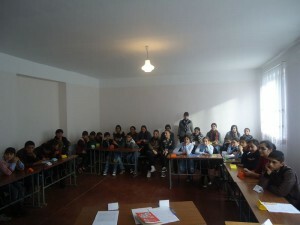 Participants were informed about professional orientation, general abilities and about different kinds of professions. The students also represented implementing strategies of set goals. After the training the participants were awarded by certificates. 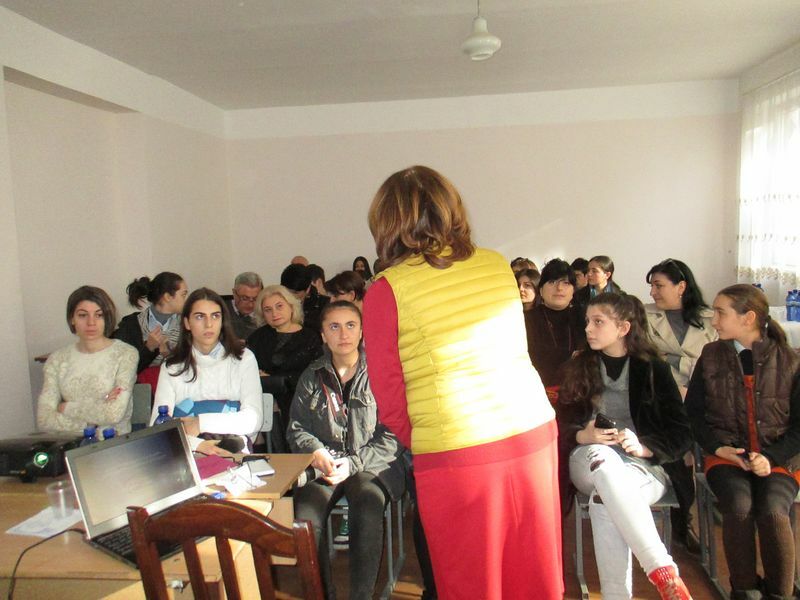 Fund of Women Entrepreneurs organized a three-day proforiantation training (February 26-28 February) at Kutaisi public college “Iberia” with the participation of 30 young people. 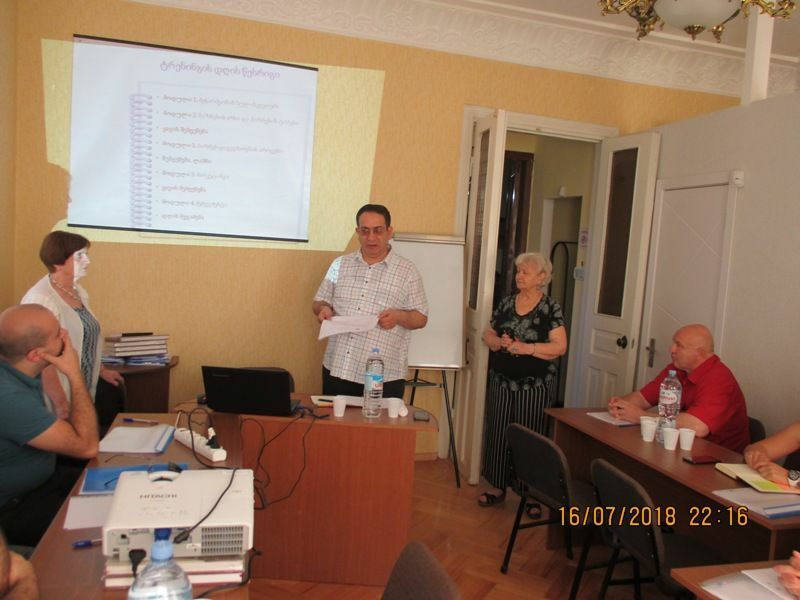 Within the project, the training was preceded by the registration of the partipants (on February 12) at Zhvania administrative school on their demanded professions.